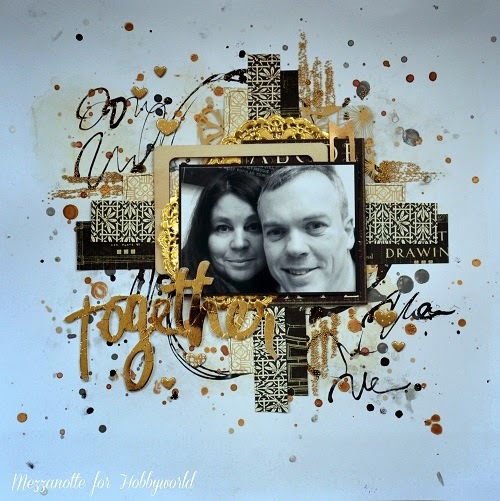 Ännu en Mixed Media Layout. 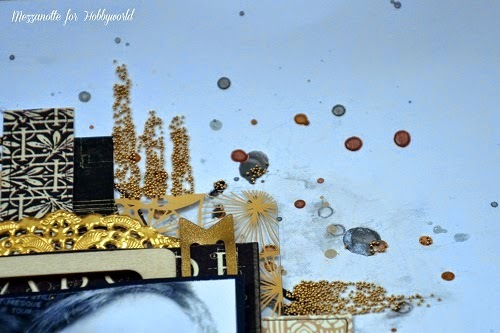 Guld, silver och svart i färgerna. 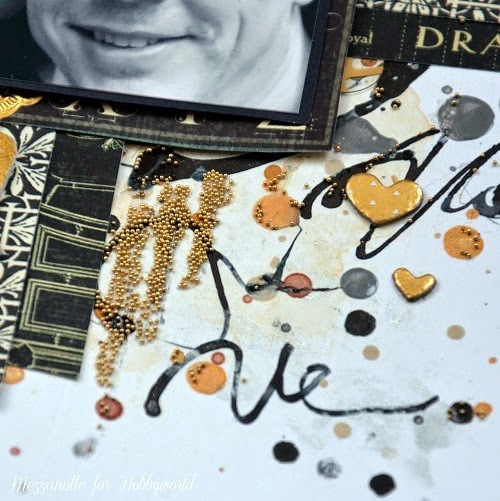 Today I show you another Mixed Media layout. I have used Gold, silver and black as my color palette. 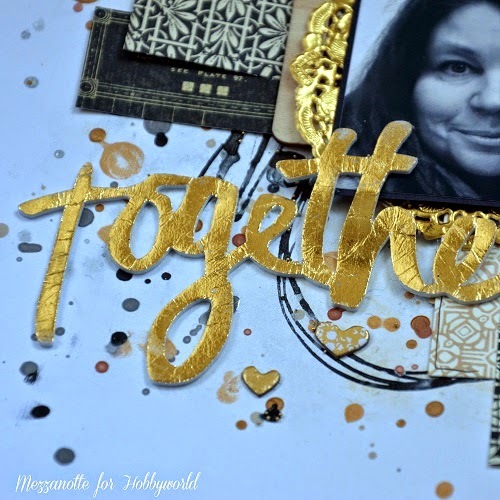 The title Together comes from a kit with metalfoil from Heidi Swapp. Kluster med guldiga Micro Beads. I have some Micro Beads placed together.